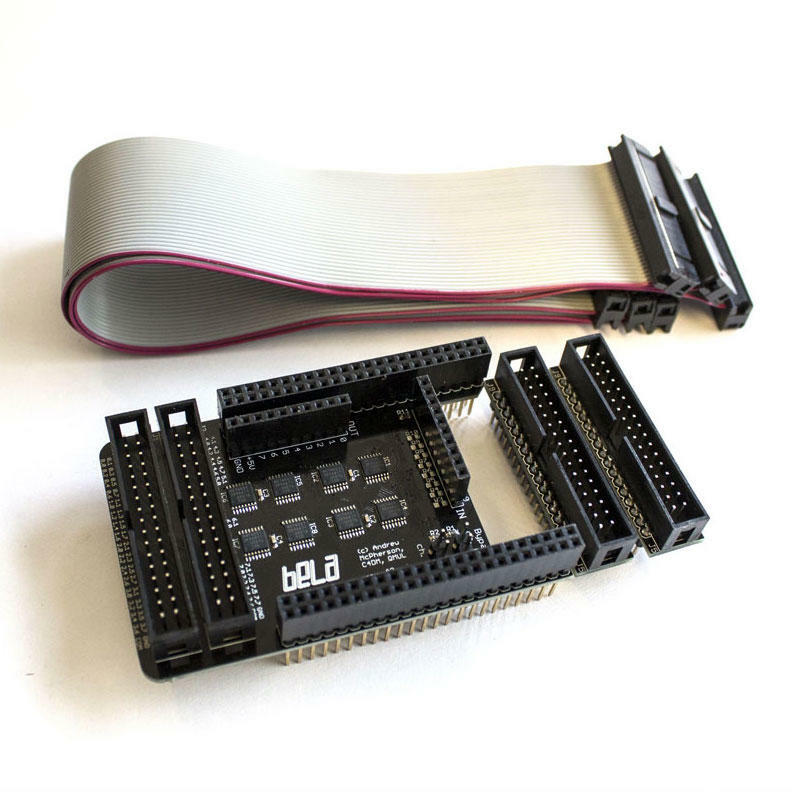 The Bela Mux Capelet is an add-on multiplexer for your Bela system. This capelet can expand your 8 on-board analog inputs up to a massive 64. Please note that the analog inputs are each sampled at 22.05kHz, and expanding your inputs will lower your sample rate. When you use the Mux Capelet the Bela software will automatically cycle through all the inputs, giving you 2.75kHz sample rate (22.05kHz / 8) on each of the 64 inputs. Alternatively, you can use 32 channels at 5.5kHz or 16 channels at 11kHz. The Bela Mux Capelet includes two ribbon cables.